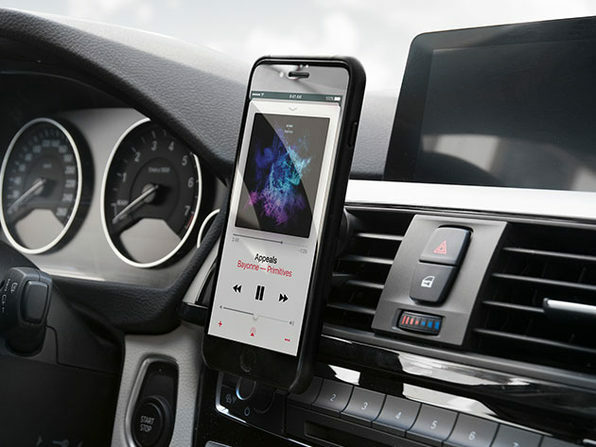 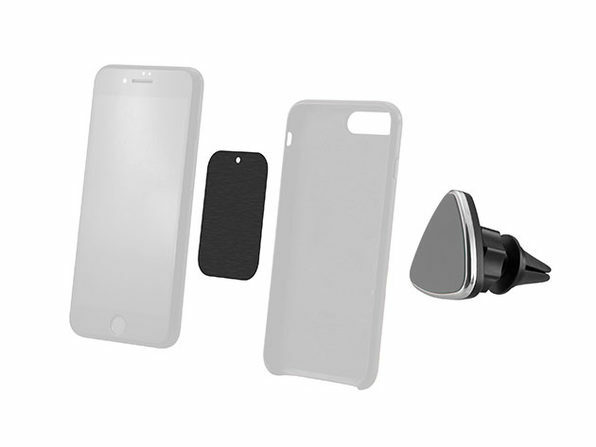 While most car mounts rely on a bulky, cradle design to keep your phone in place, the Sinji Magnetic Car Mount anchors your phone with powerful magnetic fields, making it much easier to attach/detach your device. 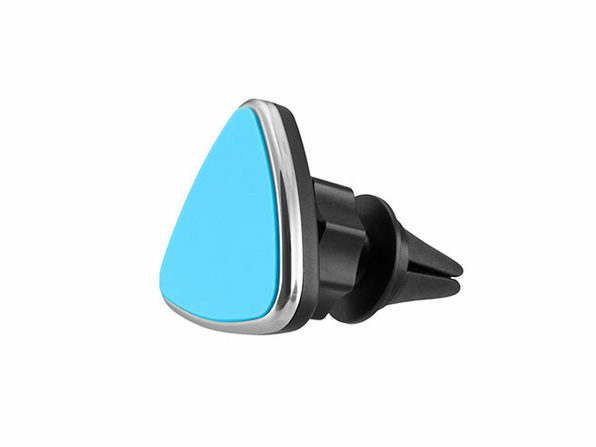 Its built-in tilt mechanism gives you the perfect viewing angle, and you can easily rotate your phone to landscape or portrait orientations. 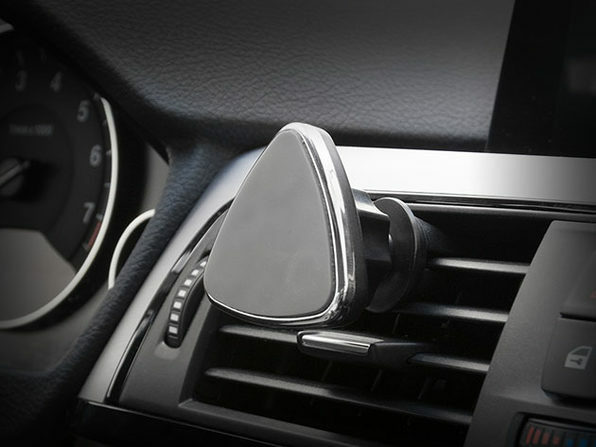 Simply clip the mount to your car's air vent, anchor your phone via the adhesive metal plate, and you're ready to hit the road.